Chartering a private jet in Miami has never been easier when you use Bolt Jets. Renowned for high quality, competitive pricing, and luxurious comfort, Bolt Jets can provide private chartered jets for any occasion, whether business or leisure. All of the jets we use are the ultimate in supreme comfort and luxury and we strive to deliver the very best in-flight experience in the industry. With access to over 1,200 state-of-the-art jets worldwide, there’s definitely something for everyone, whether visiting Miami on business, planning a romantic escape for two, throwing a bachelor party or because only the best will do! For premium private jet chartering service every time, it has to be Bolt Jets. The Bolt Jets customer experience is further enhanced with our 24/7 365-day available concierge service which will tailor-make a unique flight experience to or from Miami. For a first-rate charter flight in or out of Miami, speak to the Bolt Jets Concierge Team first. Will Smith once sang Welcome to Miami! Fifteen million visitors a year flock to this area, the home of sunshine, beach, shopping, culture and party! 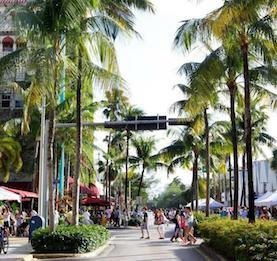 Miami has something for everyone, whether it’s strolling down Lincoln Road glancing at the eclectic boutiques or hanging out at South Beach and watching the world go by from one of the pavement cafes. Known to be a cosmopolitan place, it’s a diverse city which is reflected in its many different cuisines. Miami boasts an incredible nightlife, plenty of on-tap entertainment and of course, almost daily hot sun on creamy white beaches with sparkling waters. To experience the cultural side of Miami take a drive downtown where the city never sleeps, the shopping is out of this world and there are abundant arcades, boutiques and large shopping centers to peruse. 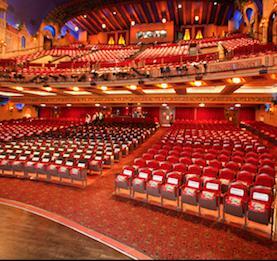 Visit the Olympia Theatre on West Flagler which was built in 1920 for plays and concerts and admire the Mediterranean Piazza in the Miami-Dade Cultural Center. If you love art, don’t miss out on the Miami Art Museum which showcases international artists. For those who enjoy architecture, Miami is renowned for art deco buildings and pastel color hotels that make the strip in South Beach so captivating. On the subject of tall buildings, see The Freedom Tower, built in 1925 which sits on Biscayne Boulevard and was Miami’s first skyscraper. For a great game of basketball, the NBA’s Miami Heat team play at the American Airlines Arena just across the Boulevard. For beaches, bars, glamorous nightlife and celebrity watching there’s no-where else like Miami. To view it properly, take a private jet from Bolt Jets and on-board be thrilled at the views of stylish Bal Harbour and Key Biscayne, not to mention Indian Creek – all of these home to the wealthiest Miami residents. Miami has something for every palette because it is a diverse place, rich in different cultures. From Mexican food to Cuban, Fusion and of course, good old fashioned American eats, it’s definitely a place to enjoy a superb meal. To know where to really savour a great tasting meal, Bolt Jets has some great ideas. Visit Meat Market in Lincoln Road if steak has to be on the menu, the cuts are succulent and the sides are out of this world. For a spectacular restaurant experience, don’t miss Barton G which is theatre on a plate! The best Japanese has to be Zuma in Biscayne Boulevard, tantalising morsels of delicious sushi and sashimi and to experience authentic Peruvian cuisine, try CVI.CHI on NE 3rd Avenue. For a great burger, try LoKal in Commodore Plaza and for the best donut in the world, don’t miss out on FEDERAL DONUTS on NW 24th Street. Too busy to try out the best eateries in Miami? Of course, if there’s simply no time to eat then the Bolt Jets Concierge Geam will organize whatever cuisine desired, served on-board and in style. Planning a corporate trip to Miami? Let the Bolt Jets Concierge Team organize any corporate trip to Miami. The team is armed with an abundant knowledge of the area as well as being fully trained on corporate travel and can advise on flight time, suitable private jet, helicopter hire, food options and more. 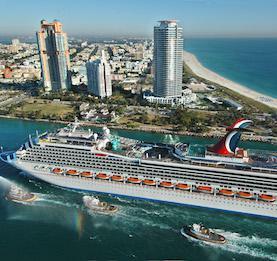 We can also suggest and book leading Miami hotels and assist with onward journeys, providing transfers for all. There are many airport options when chartering private jets to Miami.